"Riotous punk jazz freak-out, expertly written and performed. 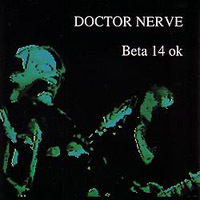 One of Doctor Nerve's very finest." 6. Did Unna Die ? 7. Did Mallets Die ? 14. Did Sprinting Die ? 17...60, "44 Nerve Events for you to program in inventive sequences"